Our goals are to educate the children of tomorrow, and with that in mind we have provided professional PC software and relevant curriculums for children to learn Science, Technology, Engineering and Math. 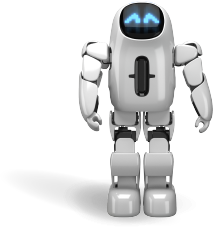 Advanced 3D Visual programming software is based on C++ and developed by Leju Robotics. The Aelos 1Edu advanced educational system take a perfect blend of hardware and software, and combines these elements with a well thought out curriculum, which will allow your little ones to learn programming as easily as 1,2,3. Aelos 1Edu is not only a buddy but an expert teacher! Dedicated teaching mode, with multiple features such as games, progressing curriculum, software growth and hardware modules. Aelos opens the world of robotics to young minds, allowing them to explore, grow and achieve unbelievable feats of learning with their AELOS 1Edu Educational Robot. Teachers will be able to follow along with dynamic curriculums, allowing them to track the progress of their budding scientist every step of the way. 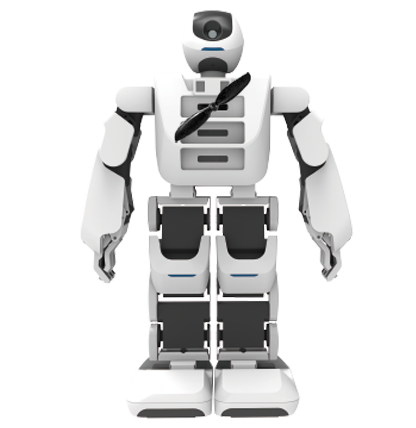 Utilizing the most advanced robotic components that execute lifelike movements with incredible agility. 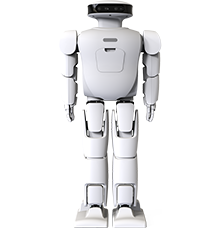 Humanoid design offers a lifelike, natural and engaging experience. Aelos 1Edu still keeps all the brilliant original features, such as dancing, playing football, practicing yoga and even various acrobatic movements, coupled with important education features. 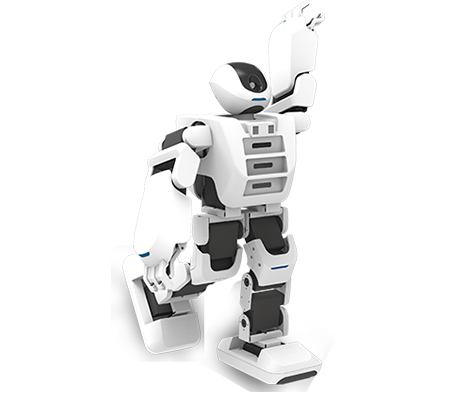 Aelos 1Edu comes packed with pre-installed features, but he is hungry for knowledge and is constantly learning. Via PC connectivity you can program and control Aelos1 Edu using the amazing integrated 3D Programming language. Aelos 1Edu is a super versatile platform for teaching programming to young learners, they can see the results of their work immediately. In the future robots will be everywhere, performing tasks long perform by humans, however who will create and build these wonderful future devices? With Aelos, we can start to prepare the next generation for the robotic challenges they are bound to face. 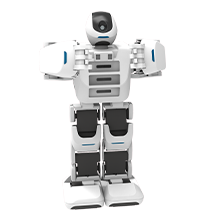 Aelos allows children to gain a fundamental understanding in how basic robotic programming will behave in the future. While educators will have a new and exciting tool in their arsenal helping them to engage with a new generation of learners and future leaders. Aelos’s software allows the use of 11 different advance sensors, including obstacle avoidance, heat, light sensitivity, humidity, alcohol detection and so on. Modular housings support a variety of sensors which can be used in conjunction with each other to achieve a variety of tasks. Basic Aelos movement and obstacle avoidance can be achieved through clever programming of these modules, as he explores the world via student programming, sensors will detect objects in the path of Aelos, if students have programmed him correctly, geomagnetic sensors will engage to determine his direction of travel, avoiding obstacles allowing Aelos to continue within the student’s environment.